Very little Ceylonese tea ever reaches the western hemisphere, and those that do are often muted and lackluster. 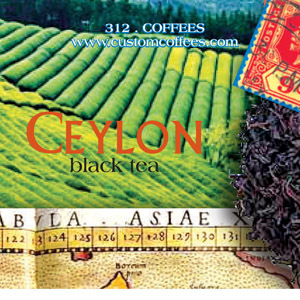 Custom Coffees sources exceptional Ceylonese tea from altitudes above 4,000 feet, resulting in a clean yet medium-full-bodied tea highlighted by a golden, sunlit hue. Sold loose leaf in 8oz package.